It is the most beautiful baseball book ever made. Meet the Official Major League Baseball Opus Marquee Edition. It measures 20 inches square and weighs about 75 pounds, with 790 pages. 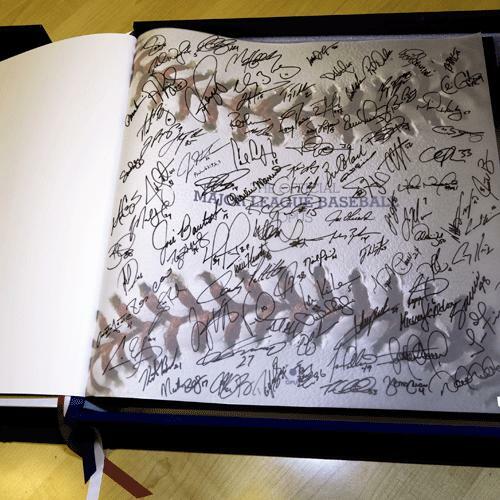 There are fewer than 1,000 copies run so far, and you can have the only one signed by all members of the 2010 All-Star Game squads.